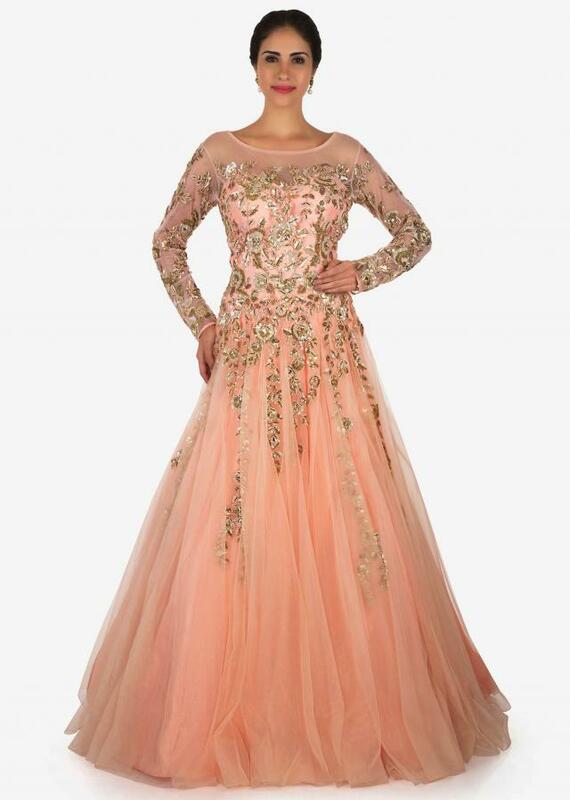 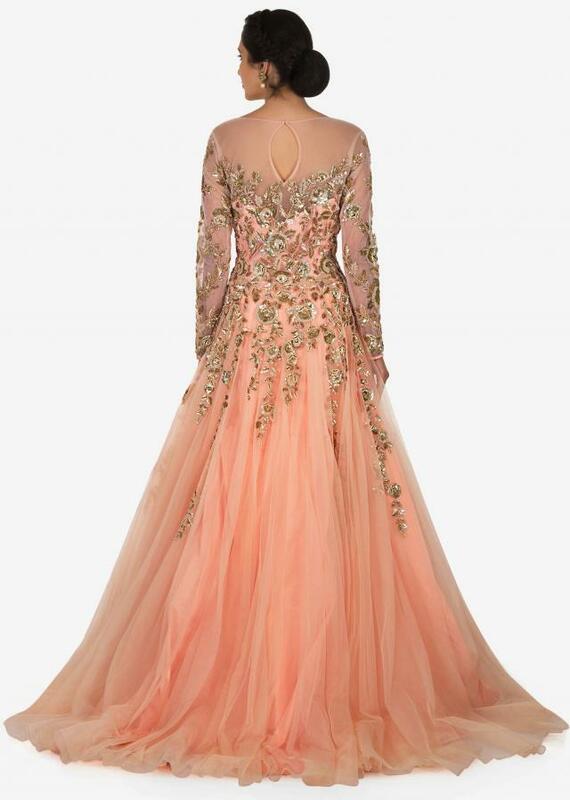 Peach gown is sure to get you noticed in the cocktail party. 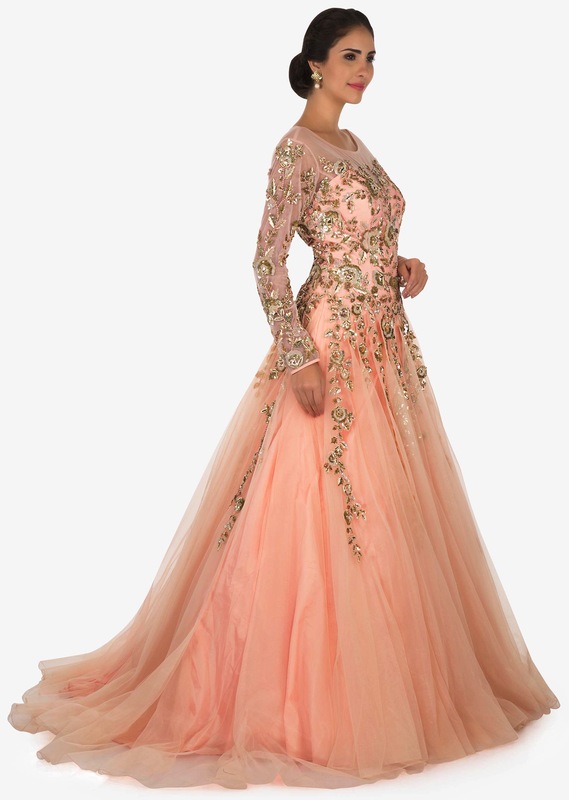 The gown is featured in the net fabric promising you the flare you desire for. The gown is beautified with moti and zardosi embroidery work in floral motifs with scattered sequins. 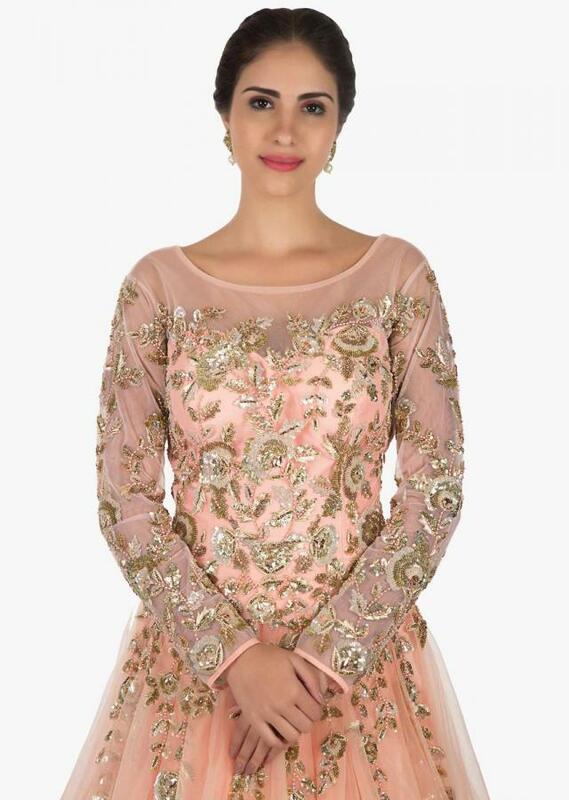 It flaunts the sheer net fabric at the neckline and over the sleeves. Secured with a key hole opening at the back.